CLASSIC VINTAGE WITH LOADS OF WOODWORK AT HE COMMODORE. SPACIOUS UNIT OFFERS A LARGE NEW KITCHEN W/42"CABINETS, SS AND GRANITE. SEPARATE DINING ROOM W/ WINDOW, LG LIVING ROOM W/ BAY WINDOWS, NEWER MARBLE BATH, TONS OF CLOSET SPACE & X-TRA LG STORAGE. CENTRAL AIR, IN UNIT WASHER/DRYER. IMPECCABLE HARDWOOD FLOORS, WOOD WINDOWS. ASM INCLUDE BASIC CABLE INCLUDED. PETS OK AND RENTALS OK. FANTASTIC LOCATION. 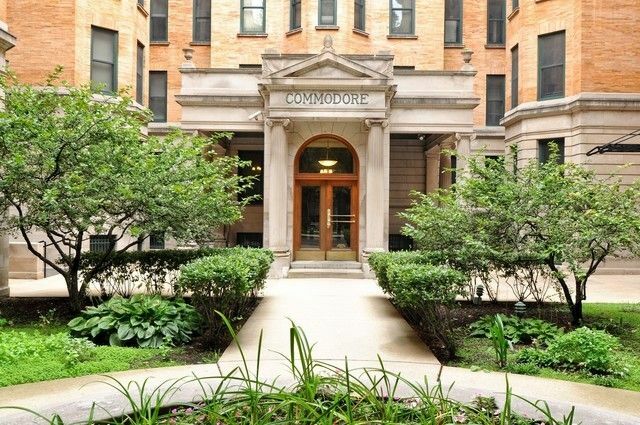 STEPS TO ALL THAT LINCOLN PARK/LAKEVIEW AND THE LAKEFRONT HAVE TO OFFER!